Our Friend Doc Masoomian passed away Friday Morning, October 11, 2013. 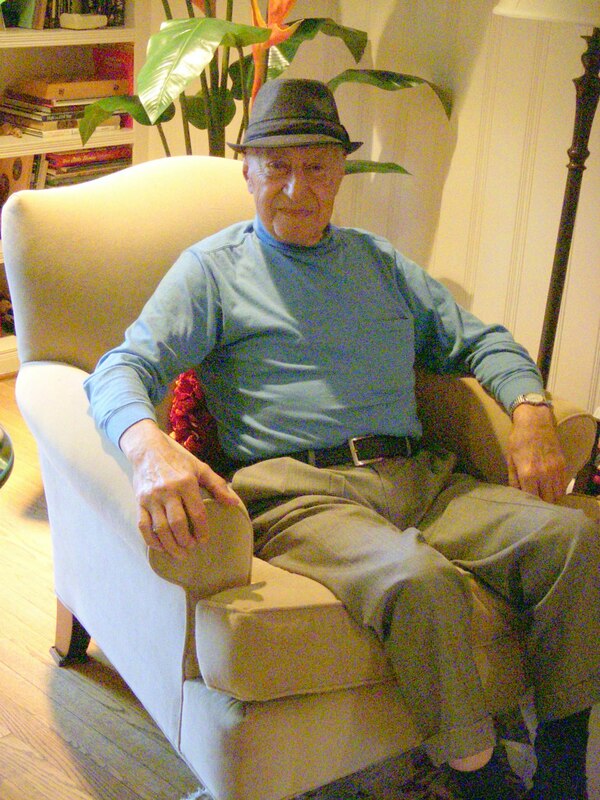 Zaven “Doc” Masoomian passed away on October 11, 2013 at his home in Plano, Texas. Doc was born in Worcester Massachusetts on February 18, 1921. He began his career in the late 1030’s at a local radio station in Worcester. 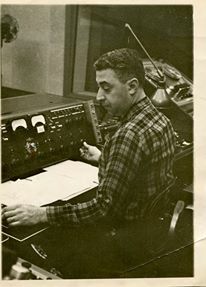 Doc moved to WQXR in New York City in 1941 as a Studio Engineer. 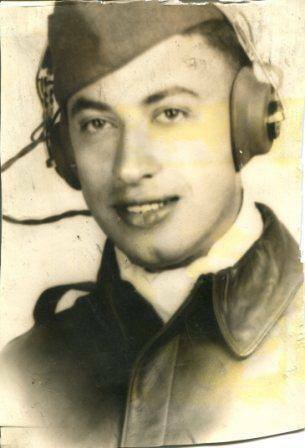 His career was interrupted by service in the Army Air Force in January of 1942 when he began Pilot Training. 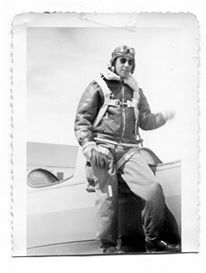 Doc met his future wife Margie in 1942 while training as a B-17 pilot at Stamford Texas. Upon completion of flight training, he was shipped to a base in England from which the first B-17 raids on Germany were staged. His plane was shot down by ground fire on his first raid over Germany and he was held prisoner in a German POW camp until the end of the war. Doc returned to the United States in July of 1945, married is wife Margie and returned to WQXR. He was soon the Studio Supervisor and progressed to Chief Engineer of WQXR AM and FM in early 1980s. Doc was our friend and a friend of many around the country. Some of the comments coming in are posted below. He was a longtime, consistent supporter of the SBE. The meetings will not be the same without his shining face and booming voice introducing “Doc Masomian, WQXR, New York” but his presence and his unwavering Faith in God and our Country has certainly made the world a better place. On May 5th, 2013, KTVT/CBS11 News at 10PM covered the Ceremony as American Legion Post 321 in Plano honored Doc’s World War II service as a POW and recipient of many awards including The Purple Heart. Watch a video of that broadcast HERE and learn more about this hero we knew as Doc. Note: This is a big file so please be patient. It should open and play as an MP4. But. if your bandwidth is limited, you can also Right Click on the link and select “Save Link As: tell it where to download the video to watch later. If you have comments about Doc, please email them Here. and I’ll try to post all the comments. Doc’s humor and his friendship was great. Listening to WQXR in New York influenced my quality of audio at KTVN CBS in Reno. I will be listening for you one of these days Doc. Doc was really helpful to me on a number of WQXR history questions and he came to visit us in our new facility not that long ago. I’m really sorry to hear of his passing. Thanks for letting me know about Doc. He was a refreshing change to the Dallas engineering community when he moved from New York. As a former New Yorker, I knew doc as a wonderful, kind, considerate man of Armenian heritage with amazing but clearly earned status which we all know about. He was a mentor to me as I started to leave video and venture into more interesting areas of media audio, my first love. We often chatted about radio, technology and life in general. He introduced me to many of the great engineers in the NY market many of whom he mentored the same way, He just loved engineers who wanted to do things the proper way! We all loved him for it. We go way back to N.E Broadcast Lab when he was the big apple rep, still have his business card! I even remember the day he moved into his new home in Plano, I called to .. Don’t remember exactly, whatever. I purchased almost of my infrastructure gear from him and he could always find a way to deliver a special request, half pre-wired (as needed) to my site or home, ready to integrate! He knew most everybody in the industry and did the footwork when I had my hand full doing production, who has that competence today? It might have been Doc who’s words I often use: ”I might not know who, where and how but, I’ll find out and get back to you! Frankly, we never discussed his grand military background. He would have loved my father, a black doctor, also serving in the military and around his age. Imagine them in a room discussing it with a microphone of Doc’s choice as they probably learned that they were both “HAMs”! I knew a Doc who embraced diversity, we should remember this as his descendants went on to fill his amazing shoes as CE of WQXR and remains a most brilliant, trusted master of engineering in the NY market. I must mention that as our world is in turmoil and a foolish brand of protectionism threatens true intelligence. God bless you,” DOC” Zaven! I received the very sad news that our good friend Doc Masoomian has passed. I did not realize all the history he had until I read the postings this morning. I met Doc when I first started in the sales end of broadcasting and he would always ask “how’s business” and I knew he genuinely cared. Doc will be missed. What a character! Doc was a good friend to all of us. I will pass this on to his friends in the Chicago area. This entry was posted in This Just In. Bookmark the permalink. Copyright 2008-2019 - SBE Chapter 67, Inc.